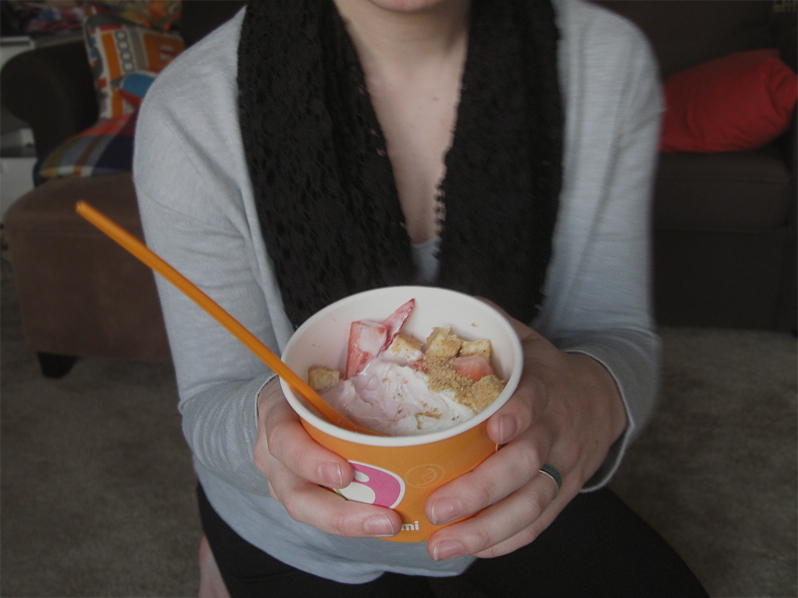 I went 'healthier' than usual this time and got strawberry and traditional flavored froyo, then topped it with fresh strawberries, graham cracker crumbs, and cheesecake bites. I love those damn cheesecake bites... they get me every time. And since the feel of spring is in the air, some strawberries were in order. I have an Abita Strawberry beer waiting for me in the fridge... I've just been waiting for the perfect spring afternoon to crack it open. Looks like I'm going to get a few chances this week! When I see that beer on the shelves it's the first sign that spring is on its way! And yes... 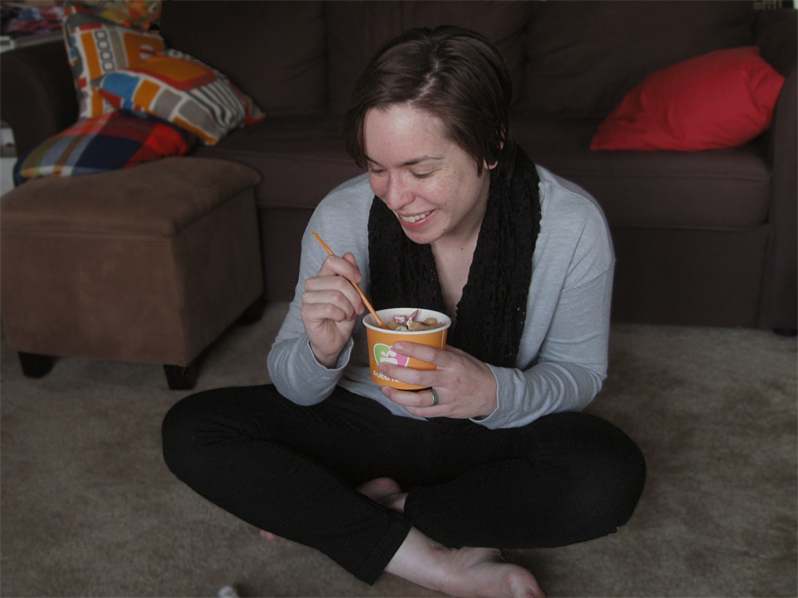 I totally did have a photo shoot with my froyo. And Lloyd! Because he loves photo shoots. 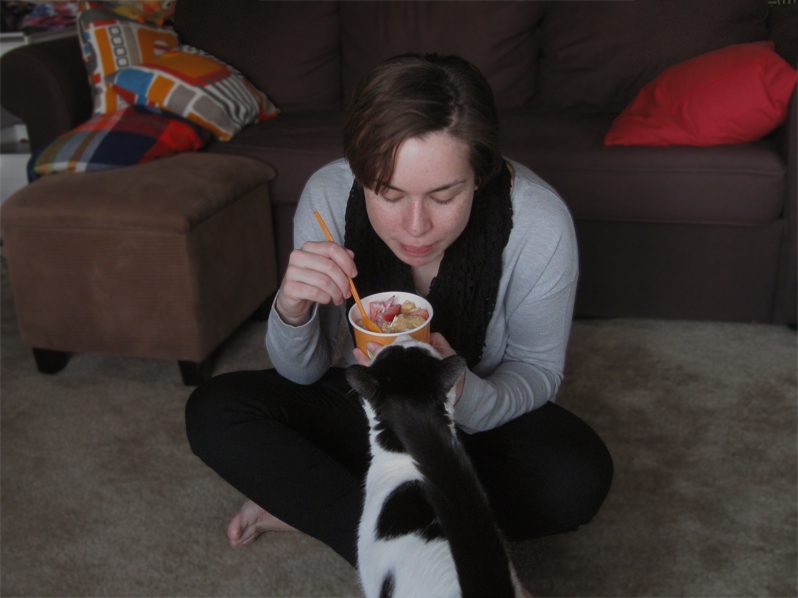 I wish we had a froyo place near me, and especially with cheesecake bites!